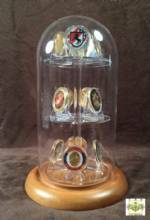 The perfect way to display that prized challenge coin or medallion this glass dome measures 3" Diameter x 4¼" High and comes with several base options. 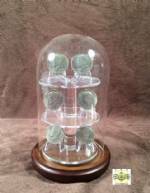 Also comes with a lucite triangular mini stand for displaying a coin anywhere from the size of a quarter to larger than a silver dollar or large challenge coin. 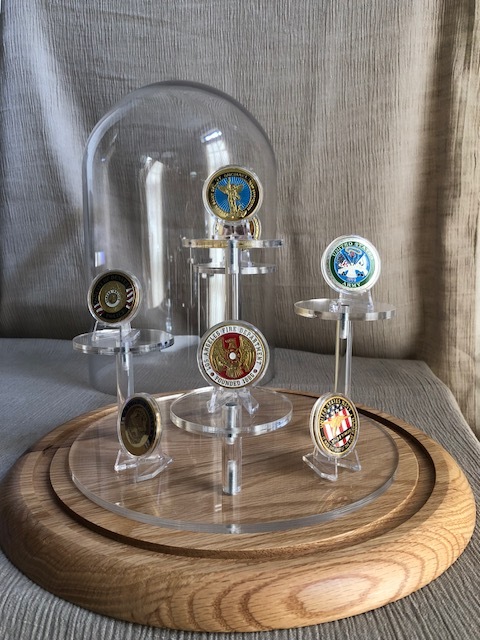 A perfect gift to present to military or law enforcement personnel who are receiving a challenge coin for their service. 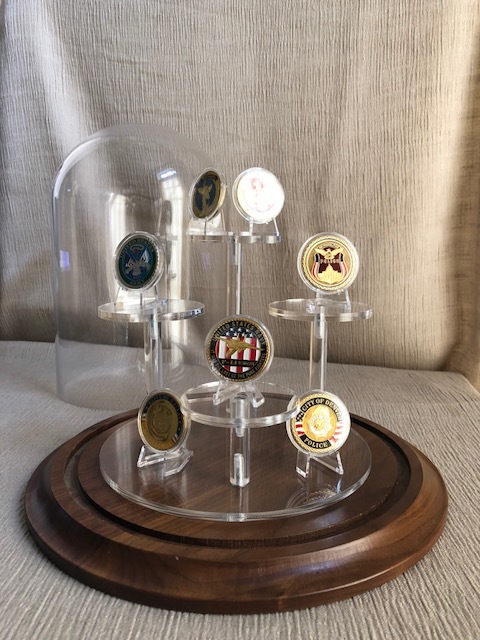 Thanks for helping me find the perfect gift for my Uncle. 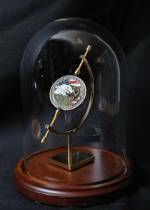 His prized challenge coin looks great in the dome. He was so surprised - it was great!